We developed a digital platform that connected researchers with people affected by dementia. Using apps on smartphones and tablets, people with dementia were able to enjoy activities while also contributing to dementia research. 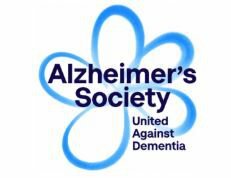 There are 850,000 people with dementia in the UK, and this is expected to increase to over 1 million by 2025, according to figures from the Alzheimer's Society. At present, there is no cure for any type of dementia, and research into prevention, care, and cure is making slow progress. One of the barriers is the high cost of conducting research at scale. To address this, we surmised that a citizen science platform, which connected researchers with people affected by dementia, could offer a low-cost alternative; providing researchers with easy access to open datasets and digital toolkits. We suspected that the valuable everyday data generated by the citizen scientists, people with dementia, and their carers, might help researchers spot patterns, learn more about caring for people with dementia, and help them produce evidence-based recommendations. At the pilot stage of the programme, we worked with partners to develop two apps that people affected by dementia could use to enjoy activities - such as listening to music or creating a digital life story book - and to complete wellbeing surveys. The data the apps produced was intended to help researchers understand care interventions and produce evidence-based recommendations. To do this, we needed innovative approaches to accessible interface design, digital consent processes and data models, and to engage the community. We worked with partners such as Join Dementia Research and the Alzheimer’s Society, to recruit people affected by dementia to use the pilot apps to take part in a research experiment. Over 600 people signed up to use the apps, and 130 of these went on to consent to take part in the experiment. Our researchers are now reviewing the data and intend to publish papers to share the results. Find out about our successes and areas of learning from the project. Book of You CIC and Bangor University: Using the Book of You app people can create a digital life storybook - a collection of photos, words and audio recordings that reflect important aspects of a person’s life. Playlist for Life and Glasgow Caledonian University: Using the Playlist for Life app people can create and listen to a personal playlist - a collection of music that has meaning for the listener. 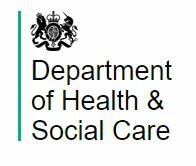 Dementia Citizens was supported by the Department of Health & Social Care, Alzheimer's Society and Alzheimer's Research UK.